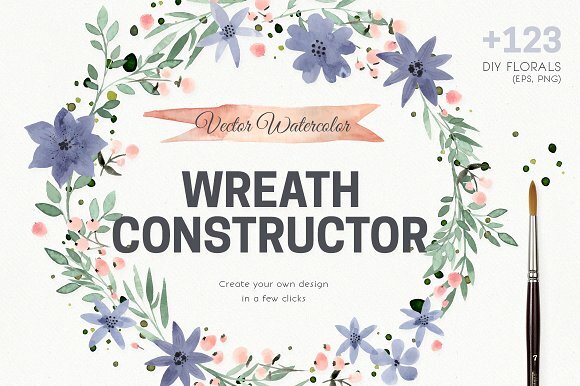 Wreath Constructor will give you opportunity to create beautiful vector wreath with handdrawn watercolor flowers and leaves in seconds. 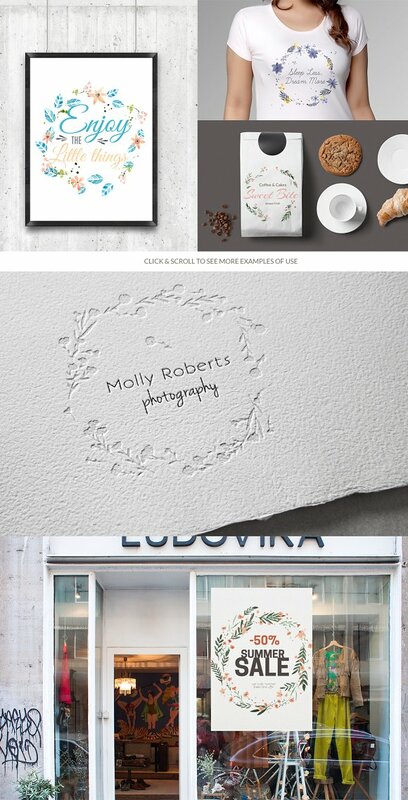 You also will be able to add text, using editable text templates (all used fonts are free for both personal & commercional use, links provided). 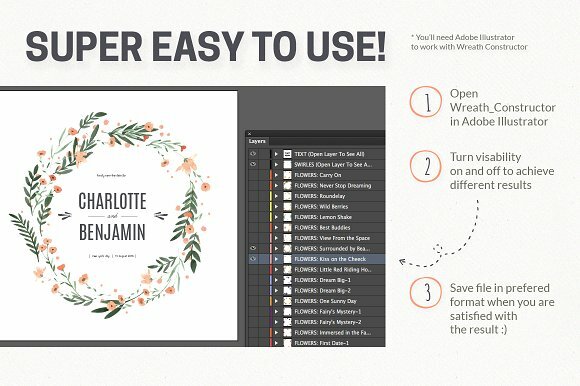 It’s perfect tool for creating all kinds of wedding design (invitations, save the date cards, thank you cards, etc), scrapbook elements or your company logo. Good thing is that you don’t need to know anything about working in Illustrator or drawing vector graphic – just open file and turn layer’s visibility on and off! You will find 60+ layers with different combos of watercolor leaves, seeds and flowers for you to mix&match. – Some extra hand drawn swirls! 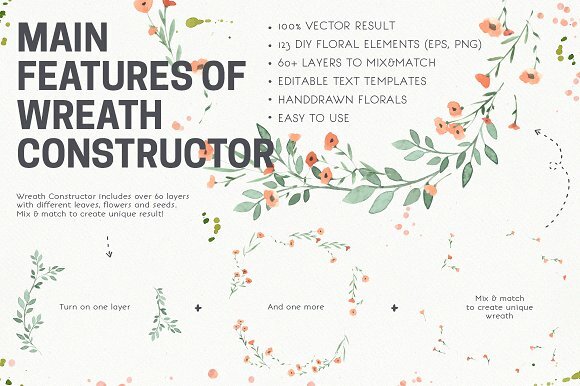 Together with this bundle you will also get 123 DIY floral elements – both in vector format and in PNG, which you can use in any software to create floral design.